Welcome to the website of the Copyright Registration Service (CRS). The CRS is a service provided by the Intellectual Property Rights Office (also referred to as the IP Rights Office and the IPRO). The purpose of the CRS is to record and register the creative output of businesses and individuals in order to protect copyright ownership. This website has been developed to allow the originators of creative output to register their work instantly online, without the need for paper forms or postage. This website can also be used to verify registered works online, using the unique CRS Registration Number ascribed to each registered work. The retrieval of files can also be requested online, should they become subject to a copyright dispute, or should a back-up be required. The CRS can be used by any individual or organization engaged in the creation of original works which are of value to them, and which they would like to protect from being copied, sold, or subject to any other unauthorised use by another party. This includes writers, musicians, artists, photographers, computer programmers, and others. Any work stored in an accepted electronic data format can be registered through this website, be it textual, audio, or visual. If you have seen a work citing a CRS Registration Number and would like to verify that the registration is genuine and relates to the work and the individual/organization in question you can confirm this using our online verification system. If your registered work has become subject to a copyright dispute, or if you have lost your own copy and would like a working back-up, you can make a retrieval request instantly online. Your file will be returned to you, with documentation supporting your date of registration if necessary. If you have any questions regarding the IP Rights Office or the Copyright Registration Service please see our FAQ section, which contains answers to people's most common questions. If you need to make a payment to the IP Rights Office you can do so online using a credit or debit card. 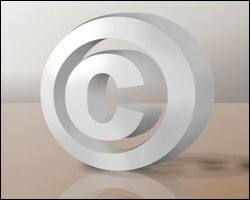 Warnings issued by the IP Rights Office of known copyright scams. If you need to contact the IP Rights Office or have any questions not answered in the FAQ you can contact us via our webform. To promote awareness of copyright protection and to encourage more people to take out copyright protection for their work, the IP Rights Office runs an affiliate program whereby webmasters are paid US$10 for every new registrant they refer. The program is free to join and simply requires a webmaster to place one or more special links on their site.